Blessed with golden rays and internationally renowned artists, this weekend’s Hardly Strictly Bluegrass festival was an event to remember. As a free festival, Hardly Strictly sets itself aside from other live music events, drawing in a crowd that celebrated the easy access to a diverse music scene. 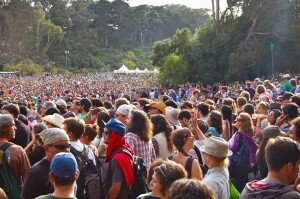 Though the genre of Hardly Strictly is contested and the audience mixed in tastes, free-entry events undoubtedly create a novel opportunity for artists to promote their music.